The barista champion's choice. 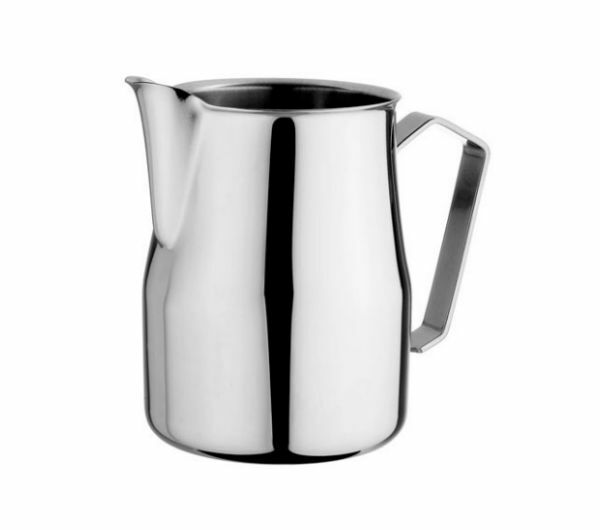 The steel (18/10 grade) is probably twice the thickness of any cheaper pitcher, giving it real heft. 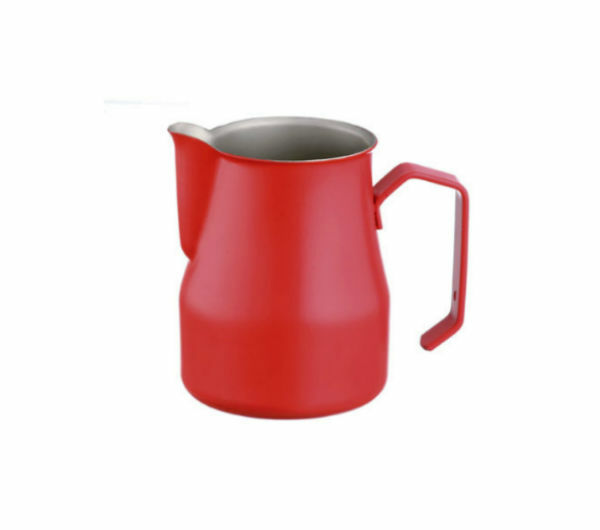 The shape is amazing for rolling milk, and the beak is sharp for pouring art. 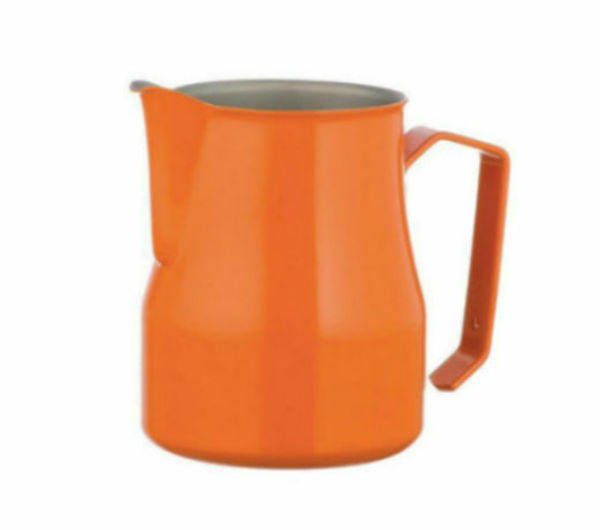 This is one of those products that once you put your hands on it, you just know it is worth its value. The inside of the coloured models is coated with Teflon. 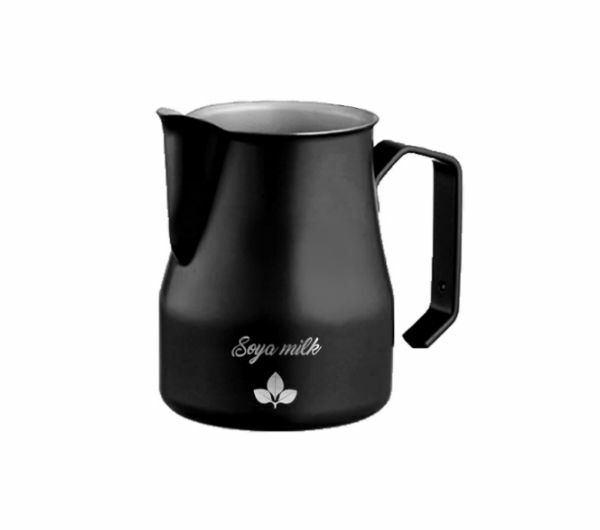 Milk Pitcher "EUROPA" 50cl - black "SOYA"